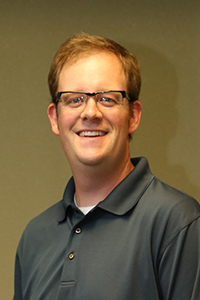 Justin Nelson is a fifth-year doctoral student in Applied Sociology at Baylor University. His research interests include technology, family, religion, education, and culture. His current research projects explore the role of religion and the sanctification of parenting in parenting satisfaction, the impact of digital technology on the ritual of family meals, and how religiosity motivates and informs parental restriction of children’s internet use. He also serves as a senior research analyst at the Baylor Center for Community Research and Development. Justin was recently honored by the Baylor University Graduate School as the recipient of an Outstanding Graduate Student Instructor Award for his teaching. Prior to coming to Baylor, Justin was a high school social studies teacher in Las Vegas, NV. Justin Nelson's Full Curriculum Vitae.